Parents, Guardians and Students can now access their Grade 12 Examination Results online. 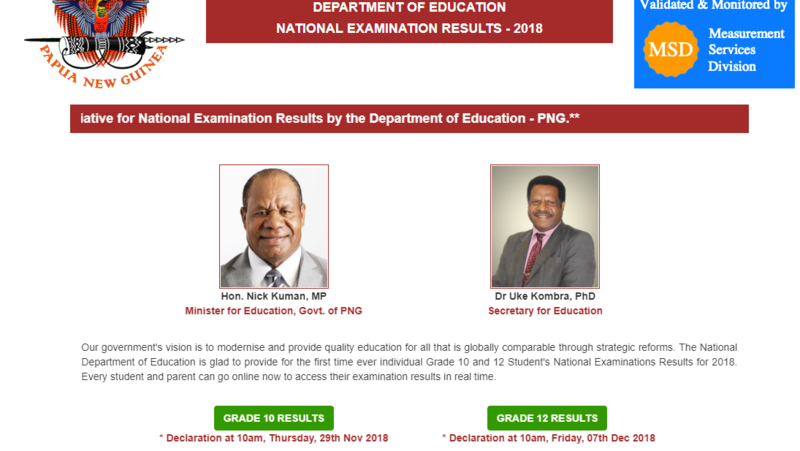 The Papua New Guinea National Department of Education has published the results online. Note that this is provisional results only. The same results will be printed on the school certificate. The requirements to use the web application or website are the following. - Smart Phones or any other phones that can access internet. Username : Surname First Name Middle Name (Please do not put space between the first and middle names). If you do not use middle name, thats fine. Use the first name only to login.